Through Petals Flowers Lochinvar, Australia you are able to send a huge range of premium quality flower bouquets, arrangements, roses, and more to be delivered to Lochinvar and Lochinvar's surrounding areas and throughout Australia. Beautiful flowers delivered by local florists to Lochinvar! Our network of florists can same-day deliver beautiful fresh flowers and gift baskets around Australia, New Zealand and the United Kingdom if your order is placed before 2pm (Monday to Friday for Australian and New Zealand orders); 12pm (Monday to Friday for United Kingdom orders); and 10.30am (Saturday for Australian, New Zealand and United Kingdom orders). Don't forget that we also provide next-day international delivery to over 70 other countries around the world! Order your gift online or via telephone! We've been putting smiles on people's faces since 1992 and is the ONLY network to operate in Australia, New Zealand and the United Kingdom from the one location! With awards ranging from National Small Business of the Year and Best Supply Chain to Regional Exporter of the year, we have never underestimated the importance of the quality, reliability and freshness of our flowers and gift baskets. To cheer someone up or to offer your 'get well' wishes! Illness is unfortunately something that will afflict most of us from time to time throughout our lives. Thoughts of kindness and sympathy are often just the thing to help turn sickness around. Send a fresh scented posy for the bedside or a healthy giftbasket of fruit and flowers and show you care. Regularly top up the vase with clean water! Petals Network has a network of over 1000 florists Australia wide to provide you with beautiful fresh flowers delivered same day. If you want to send flowers online to the Lochinvar area, we will have a local Lochinvar florist deliver the freshest flowers available to the door! We have a wide range of flowers, roses, bouquets gift baskets and arrangements to suit any occasion including a birthday, an anniversary, a new born baby, romance, sympathy, funeral, natives and flowers just to say thank you. If you want a local florist near Lochinvar to deliver the freshest flowers to Lochinvar. Flowers delivered to Lochinvar! That's what Petals can offer you. Petals florists serving Lochinvar, will prepare your flowers on the day of delivery so that they arrive fresh to the recipient. 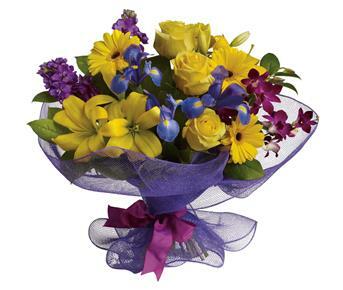 You will find a great range of beautiful flowers available for delivery to Lochinvar. We have wonderful bouquets, arrangements, seasonal flowers and even gifts and gift baskets available for deliver. Find the right florist in Lochinvar. 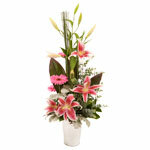 We have all sorts of flowers available for delivery to Lochinvar. Need flowers to be sent to Lochinvar? With Petals Lochinvar, Australia we will have a local florist deliver only the freshest flowers available. Flowers freshly delivered by local florists - that's the Petals Difference. Need gifts to Lochinvar? Visit Petals Network's gift web site, . Send gifts to Lochinvar, Australia with Grumleys. Grumleys has a large range of gifts for all occasions including birthdays, anniversaries, celebrations and new baby congratulations.